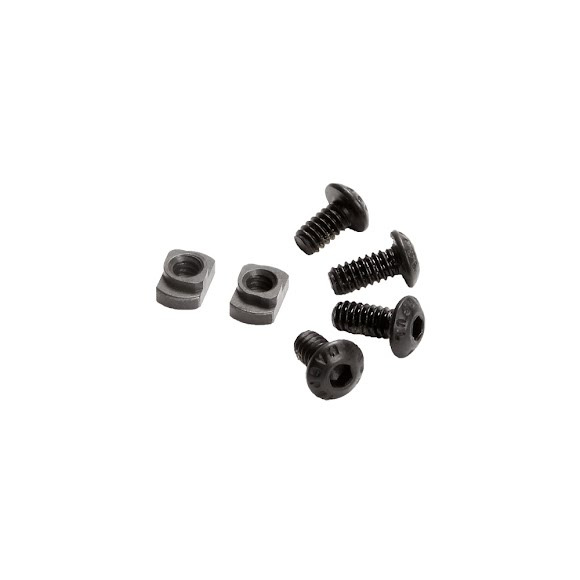 Magpul's M-LOK T-Nut Replacement Set is a replacement hardware pack designed for use with all M-LOK accessories. Made of 4140 Chromoly Steel with a Mil-Spec Manganese Phosphate finish, the hardware set is supplied with two T-Nuts as well as two different length button-head cap screws to ensure compatibility with various hand guard or forend thicknesses. Magpul &apos;s M-LOK T-Nut Replacement Set is a replacement hardware pack designed for use with all M-LOK accessories. Made of 4140 Chromoly Steel with a Mil-Spec Manganese Phosphate finish, the hardware set is supplied with two T-Nuts as well as two different length button-head cap screws to ensure compatibility with various hand guard or forend thicknesses. A self-locking reusable thread patch is added to the screws to ensure a secure fit upon installation.